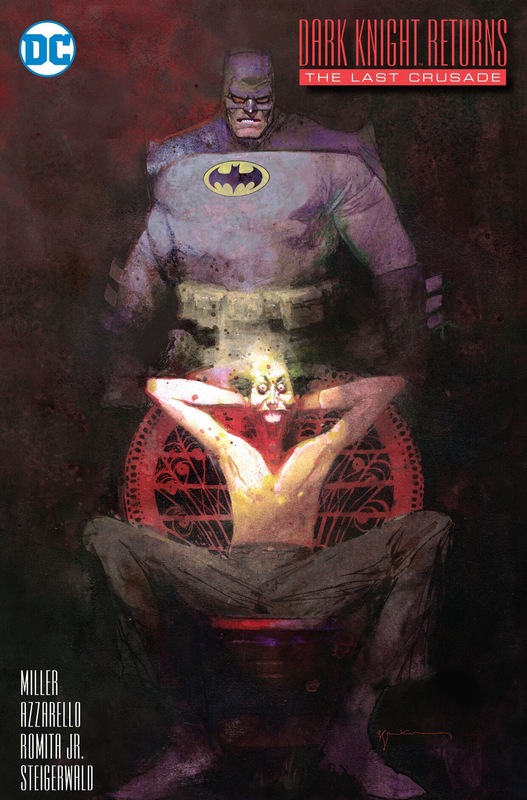 Bill Sienkiewicz really outdid himself on this rendition of Frank Miller’s Dark Knight Returns. The sketch cover was created for graphic designer Chip Kidd who has amassed quite a collection of Batman Black and White covers illustrated by many top comic book artists! 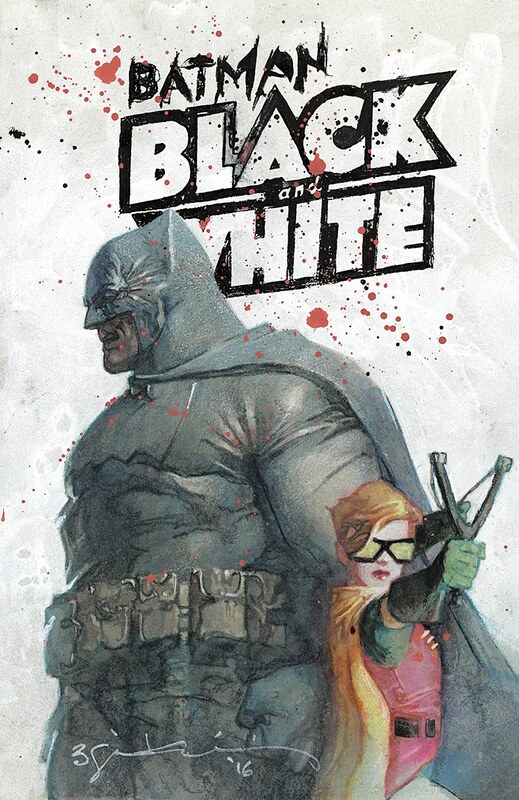 Here is the variant cover for Dark Knight Returns: The Last Crusade by the GREAT Bill Sienkiewicz. The one-shot is set before the events of Frank Miller’s The Dark Knight Returns. Co-written by the Dark Knight III duo of Frank Miller and Brian Azzarello, Dark Knight Returns: The Last Crusade is a 64-page prestige format one-shot drawn by legendary artist John Romita, Jr. This book is a prequel to The Dark Knight Returns and it’s got a lot to do with Jason Todd and what happens to him at the hands of the Joker. This was only touched on in Dark Knight Returns. We know Jason Todd met his end, but this book tells the story of how he met his end and what transpires up to that point. Dark Knight Returns: The Last Crusade also features Killer Croc, Poison Ivy and Selina Kyle. The Last Crusade takes place more than 10 years before the events of Miller’s The Dark Knight Returns and it’s available today! 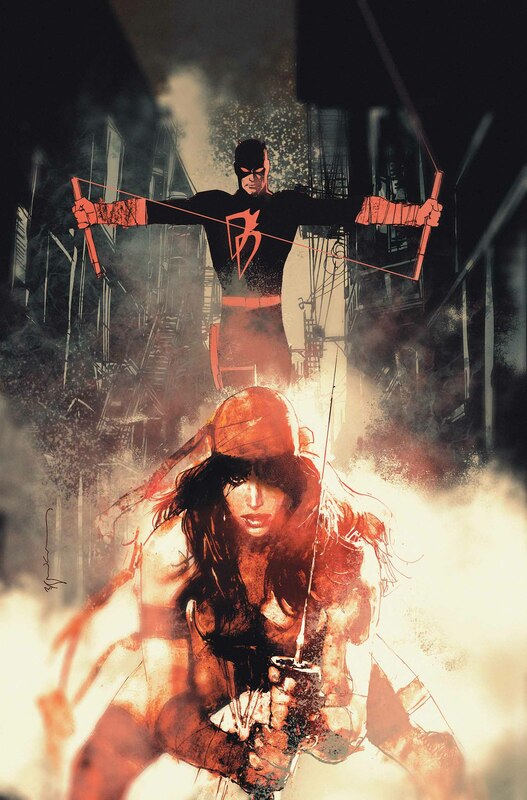 Marvel will release this 24 x 36 poster of the cover to Daredevil Vol 5, issue #6 by the uber talented Bill Sienkiewicz on April 13, 2016. The cost is $8.99.